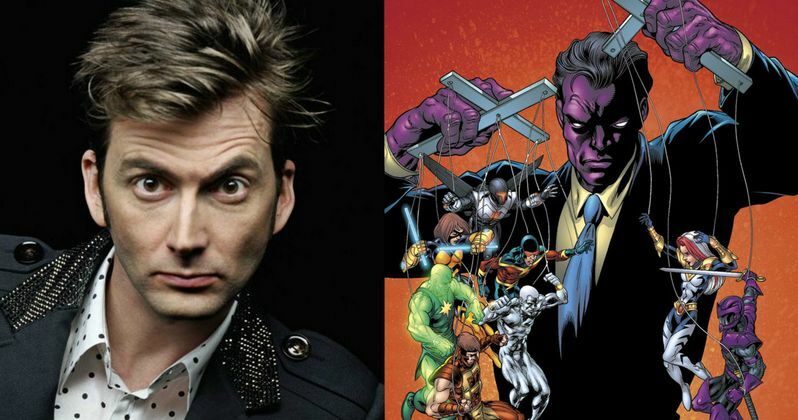 Marvel and Netflix are proud to announce that David Tennant will star as the villainous Kilgrave (known in the comic books as The Purple Man) in Marvel's A.K.A. Jessica Jones, an all-new 13-episode series premiering on Netflix in 2015 following Marvel's Daredevil. An enigmatic figure from Jessica's past, Kilgrave's reappearance will send shockwaves through the former super hero's world. Tennant will star opposite Krysten Ritter and Mike Colter, who will play Jessica Jones and Luke Cage inMarvel's A.K.A. Jessica Jones. The series was developed by Executive Producer/Showrunner Melissa Rosenberg, who had this to say about the casting in a statement. "I'm so honored and excited by the prospect of David inhabiting this multifaceted character. He can deliver the most heart-wrenching moment to the driest of lines, and all points in between. He'll make Kilgrave a truly original villain." Executive producer and Marvel's Head of Television Jeph Loeb had this to say about David Tennant's casting in his statement. "Anyone familiar with David's work knows he brings an incredible level of dedication to any role he inhabits, a level we knew we would need from the man playing Kilgrave. While most know him for his roles as a hero, we can't wait to unleash a whole new side of this talented actor." Tennant rose to international fame as the Tenth Doctor in the BBC hit series Doctor Who, and most recently starred in Broadchurch and its American adaptation, Gracepoint. After a tragic ending to her short-lived super hero stint, Jessica Jones is rebuilding her personal life and career as a detective who gets pulled into cases involving people with extraordinary abilities in New York City. Marvel's A.K.A. Jessica Jones is produced by Marvel Television in association with ABC Studios for Netflix. For more information on Marvel's A.K.A. Jessica Jones, and the other exciting new Marvel Television series coming to Netflix, stay tuned to Marvel.com.